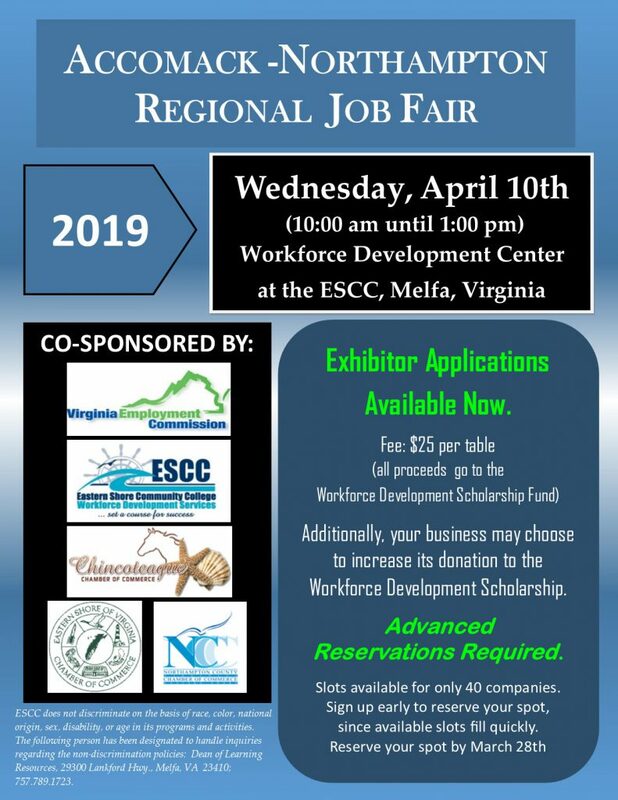 Held at the Eastern Shore Community College Workforce Development Center. 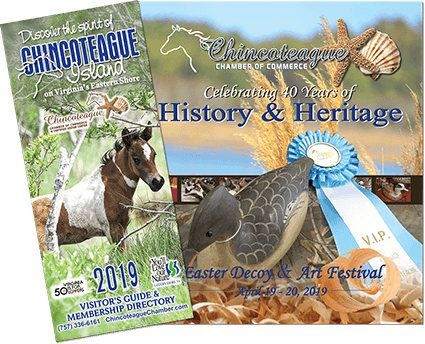 Co-sponsored by the Virginia Employment Commission, Chincoteague Chamber of Commerce, Eastern Shore of Virginia Chamber of Commerce, Northampton Chamber of Commerce. Exhibitor applications available now. Fee is $25 per table. All proceeds go to the Workforce Development Scholarship Fund. Additionally, your business may choose to increase its donation to the Workforce Development Scholarship. Advanced reservations required. Slots available for only 40 companies. Sign up early to reserve your spot, sicne available slots fill quickly. Reserve your spot by March 28th.